The First Step Act is an important milestone in the long road to ending mass incarceration and curbing the excesses and harm in the federal justice system. 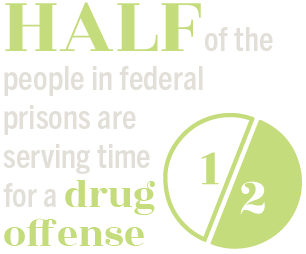 The Sentencing Project urges the Senate to pass the First Step Act without amendment #4109, introduced by Senators Tom Cotton and John Kennedy—which is designed to derail the legislation and weaken its rehabilitation incentive program. When Chris Poulos was arrested, he experienced firsthand the difference that money can make in the criminal justice system. He recounts the experience in his own words. 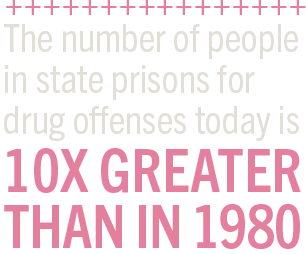 In a letter sent to Senate and House leadership, The Sentencing Project urged Congress to move quickly to pass the sentencing reform measures in the First Step Act (S.3649) "to help create a safer, more equitable and fairer justice system." Voters across the nation considered a number of criminal justice reform measures—ranging from voting rights to sentencing reform. Voters decide on ballot proposals for retroactive sentencing and the restoration of voting rights to people with felony convictions. Blacks in Alabama were four times as likely to be arrested for marijuana possession in 2016 as whites, L.A. County deputies disproportionately stop Latinos to find drugs, and more in Race & Justice News.